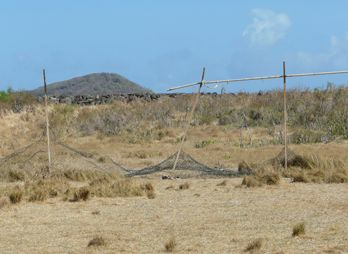 Dr Godwin Friday, Parliamentary Representative for the Northern Grenadines, which includes Bequia, said that for some time a section of the fence has been broken, allowing animals to walk on to the runway at risk to the safety of incoming or outgoing aircraft. âWhen I was here before, I saw two animals out on the area of the runway which could be potentially dangerous for aircraft,â Friday told SEARCHLIGHT. He said that the issue has been raised several times before and the animals need to be kept from being able to walk on to the restricted area. âThis does not take much to correct â the issue is something that I have spoken about many times,â Friday said, adding that he thought the issue would have been dealt with, but it had not. When contacted, Corsel Robertson, Director of Airports said that she had seen the span of fencing and that the project will have to be treated as a capital issue.